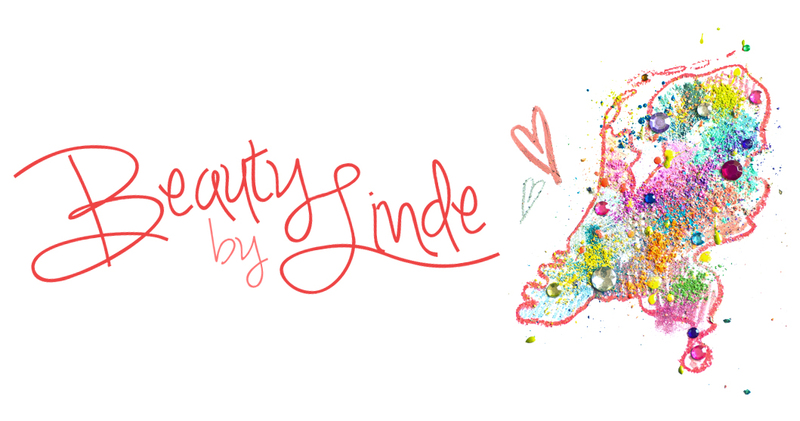 Beauty by Linde: Let's Talk Eyeliner! How-To Video + My All-Time Favorite! Let's Talk Eyeliner! How-To Video + My All-Time Favorite! So, in my very first post on this blog, I said that I was planning on recording make-up tutorials, which I still am! I'm just trying to find an efficient way to record and edit the material, because I tend to be quite chaotic and slow when I don't think everything through beforehand. I've already recorded one tutorial, but after a few weeks of contemplating I decided that I'm not satisfied with the end result, so I will record a new one as soon as possible. In the mean time, I hope you enjoy this blogpost, including a mini-tutorial on how I like to do my eyeliner! No more messing around with product getting stuck into your lashes. And there are probably many more reasons to love this product. I have discovered only one downside: when you draw over the same spot too many times, the marker will 'erase itself' and the skin will start to show through. But this has only happened to me once or twice, only when I'd messed up and didn't feel like starting all over again. So in my opinion, the pro's undoubtedly weigh up to this one con. So now it's time to watch the video below to see how I usually do my liner. It's nothing special, just a very basic shape that's perfect for during the day. There's one thing I explain in this video that has made a huge difference in my eyeliner routine. It may sound stupid, because it seems quite obvious once you've heard it once, and I can't help but wonder why I didn't think of this myself. Back in the day, I used to start drawing my line in the inner corner, working my way outward all the way to the tip of the wing. I sucked at it. I don't think I ever succeeded in just one try using this method (which probably tells you more about me than about the method). After a few years of not even getting the slightest bit better at it, I saw a number of YT gurus apply their liner starting from the outer corner. I thought I'd try it myself and it couldn't believe how fast and easy I achieved a flawless result - and yes, in only one try! So take a look at my quick how-to video and if you're struggling with your liner as much as I used to, give it a try yourself! Enjoy guys! Until my next post! Ah, wat een handig artikel! Ook het filmpje is heel leuk. Heb ik wat aan! Dankjewel. :) Ik kwam je toen tegen bij het Inglot event, en je vertelde over je blog. Heel leuk is die, mooi portfolio trouwens. Wat leuk om te horen :) Dankje! waaw , ga die van h&m zeker ook eens zoeken!